For some time now there have been several rumors in this regard, but now it is official. Apple is clearly betting on services and increasing revenue from subscription-based products, giving the user a range of content for a monthly fee. Since Netflix was one of the great drivers of this type of business, it is impossible not to compare it to the company, which is why Apple opened Apple Air to other manufacturers, so that its content reaches more users. 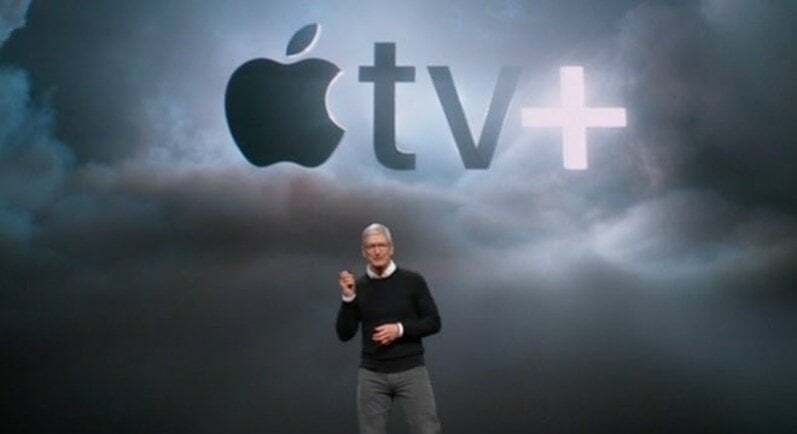 Obviously many of these news will continue to be unique to Apple products, however, it will be possible, for example, the use of Apple TV + is much of the television, without the need for the user to have to use another Apple device , as previously required with Apple TV. We’ve heard a lot about buying their own content over the past year but on stage the executives kicked off with a video featuring big names like Steven Spielberg, Ron Howard and Octavia Spencer. 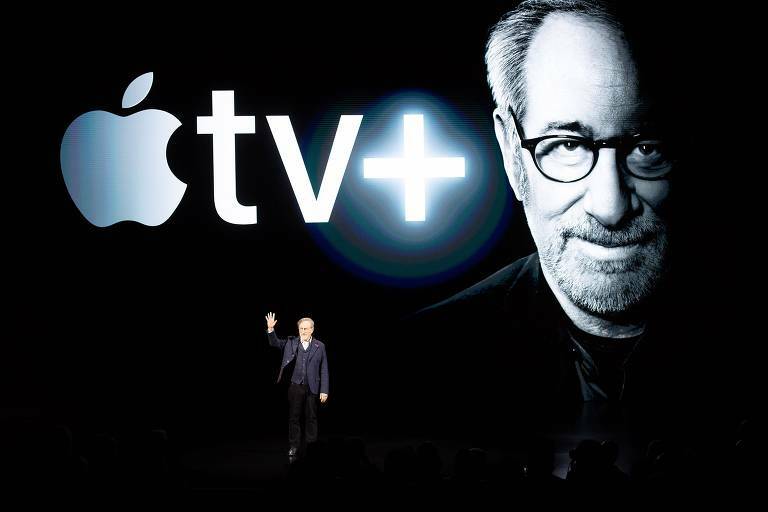 Spielberg himself appeared on the stage first to talk about Apple TV + and the stories he wants to tell. Reese Witherspoon and Jennifer Aniston came to talk about their new project The Morning Show along with Steve Carell before Alfre Woodard and Jason Momoa took to the stage to talk about See, a new science fiction series that will hit Apple. Kumail Nanjiani was next to discuss his experiences as an immigrant who will be part of the series he is writing with his wife to Apple, Little America. Oprah also joined Apple. Still, the biggest star is Big Bird, with Sesame Workshop programming also coming to Apple TV +. The show is called Helpsters, featuring another Muppet who appeared on stage. Sara Bareilles and JJ Abrams were the last to appear, with Sara releasing a musical before finally seeing a trailer containing videos of all of Apple’s new shows. In the end (not totally) absolute, we finally got some points: Apple TV + is an ads-free subscription service that will be released in more than 100 countries this fall, full of original content from many big names in entertainment. Whenever it’s released, all new TVs with support for AirPlay will be able to stream the videos, and as soon as they have the Apple TV application, they will have all the videos and their content already purchased in iTunes. What we do not know yet is how much it will cost, and Apple “kicked” the price revelation for one. Although much of the focus is on streaming video, the company took the opportunity to present one more service: magazine subscriptions and newspapers. Called Apple News +, which will be incorporated into the Apple News app itself. Some of the newspapers and magazines that are already confirmed include Esquire magazine, Wired, and newspapers such as the Wall Street Journal and the Los Angeles Times. 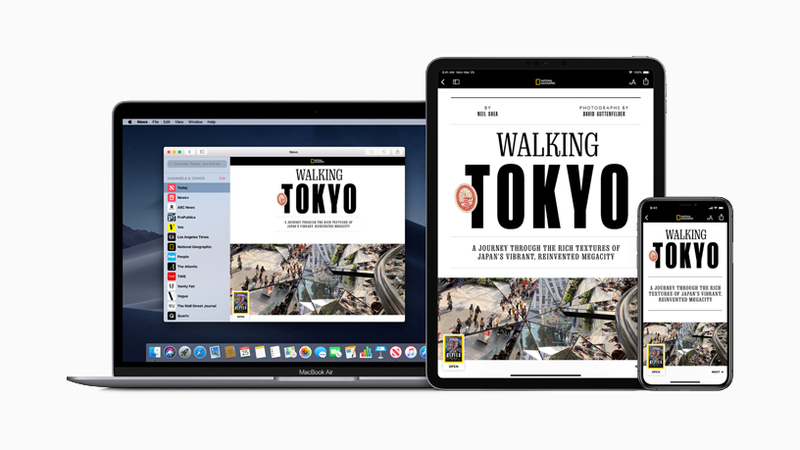 Apple News + will have more than 300 magazines in all, and all will be available through a single subscription for $ 9.99 a month. Family sharing is also included in this price. In a demonstration on stage, Apple showed the service. The viewers will see animated covers similar to live wallpapers. There is a selection of My Magazines at the top of the magazine’s homepage along with the suggested ones. Recent edits of your favorites will be automatically downloaded for easy reading. According to Apple, there are three columns of thumbnails, each showing a different magazine. However, not everything is perfect. Other points of sale, such as the New York Times and the Washington Post, are not yet there and have published reviews against this service. This is because Apple wants 50% of revenue and users have unlimited access. Apple News + is available today with a free first month. It is being released in the US and Canada in English and French. There will be 30 Canadian magazines in addition to the Canadian newspaper The Star. It will arrive in Europe and Australia later this fall, starting with the UK. Unfortunately for Portugal and Brazil nothing is known. As part of its great push for subscription services, Apple announced the Apple Arcade. As explained, it will be a “Netflix for games” that allows users to pay a monthly fee to play whatever they want. It should work on iPhone, iPad, Mac and Apple TV. For starters, more than 100 new and exclusive games will be included. The application will be integrated into the App Store. 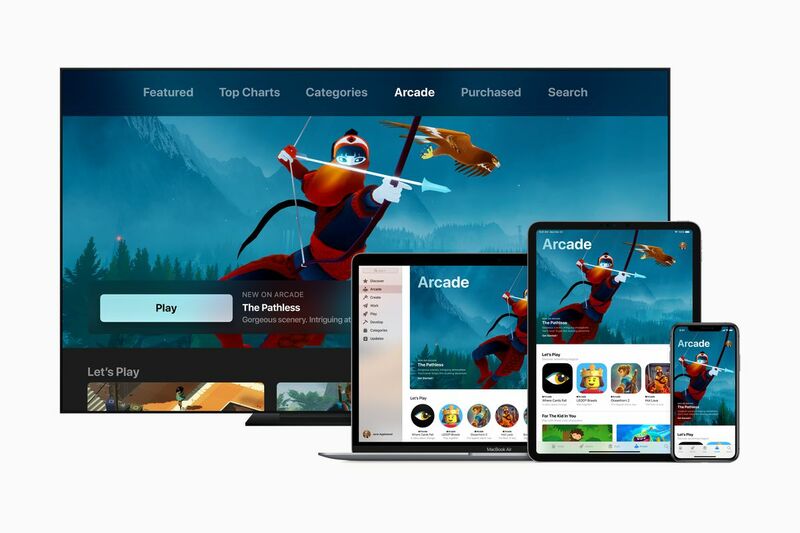 Just like in Apple News +, Apple Arcade works with family sharing, which will allow you with a subscription, your whole family can enjoy all the games. Once you sign up, there are no ads or additional purchases required in any of these games. And to prevent children from abusing, there will be parental controls that can be defined by the parents. Another very important factor, the games work offline, not needing a permanent internet connection. As for the studios involved, Apple quoted Annapurna Interactive, Bossa Studios, Cartoon Network, Finji, Giant Squid, Klei Entertainment, Konami, LEGO, Mistwalker Corporation, SEGA, Snowman and the like. development partners. When Apple Arcade is ready, it will be released in more than 150 markets, but will not be released by the end of this year. At this point, there are also no details on prices – we will, unfortunately, have to wait a little bit to test this, if we only know more about them in 2020. With Apple TV channels, the company has created a way to choose their favorite networks and watch everything in one application. The selection includes traditional channels such as CBS and Comedy Central, premium networks like HBO and Showtime, as well as online streaming services like Brit Box and Acorn TV. In addition to offering a single place to watch all of this content, you can also download programs and movies on your devices to watch offline. Therefore, this will be a channel aggregator, which will either allow you to watch normal television channels, or quickly switch to an HBO series or online streaming services. An authentic aggregator of audiovisual content. This service is seen as an alternative to services like Sling TV and PlayStation Vue, which offer cable TV channels in packages. By offering an alternative, this could save viewers money. Of course, participating networks also have their own Apple TV applications. Apple is also clearly geared toward Amazon’s Prime Video Channels, which is another way to sign up for premium networks. It’s also bringing the “TV” app for Macs and smart TV brands, so you can watch Apple channels on devices other than the iPhone and iPad. All this explains why Apple decides to open AirPlay to other television manufacturers, so that these new services reach more users. Apple did not provide pricing details for the channels, so like everything else, we’ll have to wait and see.